On the bottom (soldering) side of the PCB cut the A14 addressline of the PROM-socket coming from the 4024. Drill 3 holes for the jumper into the PCB near the 6 resistors for the datalines d0-d5 and insert the jumper into these holes. 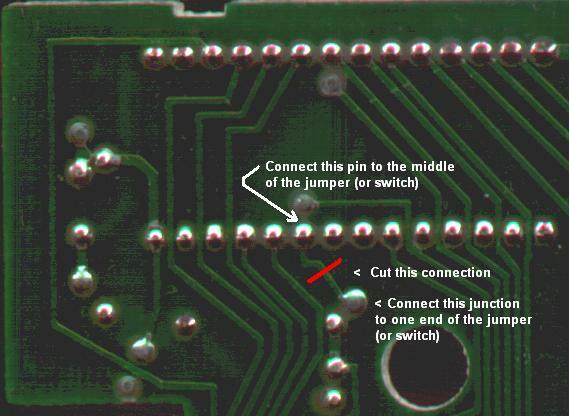 a) Connect pin 23 of the PROM socket with the center pin of the jumper (or switch). 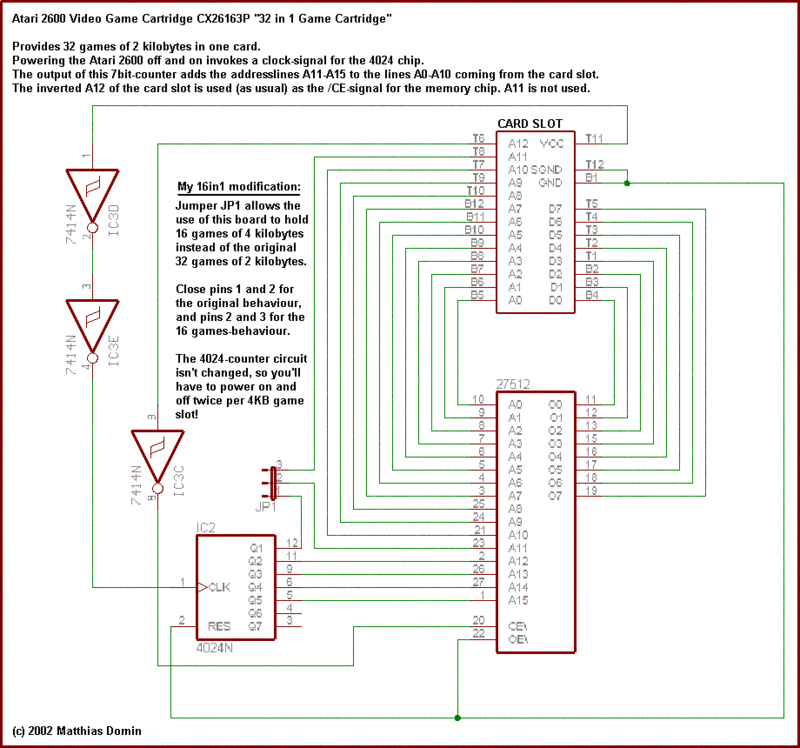 b) Connect the PCB-junction of the A14 ddressline to one end of the jumper. c) Connect card slot pad Top8 to the other end of the jumper. 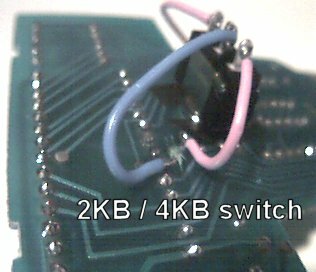 The blue wire connects the switch to pin 23 (A14) of the PROM socket. 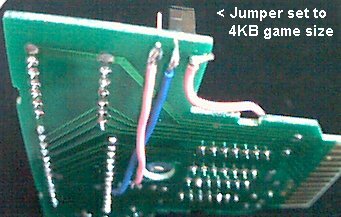 The two pink wires are the two sources for A14.